Carl Sandburg College is saddened by the death of Board of Trustees member and alumnus Rev. Jon A. Sibley Sr., who passed away Monday. He was 68. Sibley, of Galesburg, was first elected to the Board in 2007 and had the third-longest tenure of any current trustee. Visitation will be from 10 a.m.-1 p.m. Saturday at Bethel Baptist Church in Galesburg, 1196 N. Academy St., with funeral service to follow at 1 p.m. Burial with military honors will be in East Linwood Cemetery in Galesburg. An obituary can be viewed and online condolences can be made here. In honor of Sibley’s service to Sandburg and the community, flags at the College will be at half-staff through his burial. A 1978 Sandburg graduate and a U.S. Air Force veteran, Sibley also was a past board member of the Carl Sandburg College Foundation, but his list of community involvement extended well beyond the College. In accordance with the Illinois Community College Act, Sibley’s replacement on the Board will be appointed within 60 days by the current trustees, and the appointee will serve the remainder of Sibley’s term, through 2019. Sibley served as a minister for Full Gospel Church in Galesburg, was a member of the Galesburg Police and Fire Commission, a member of the Galesburg chapter of the NAACP and a Streaks Dad. 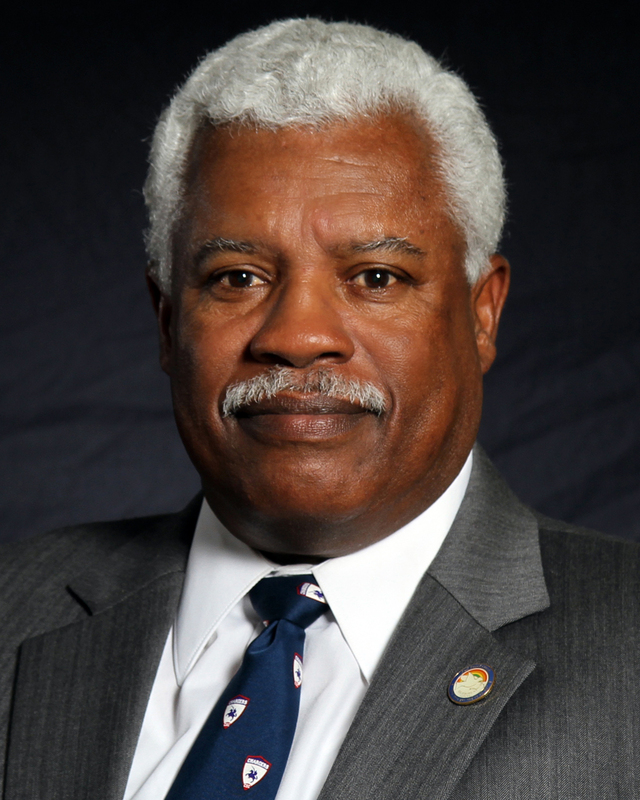 He also was the first elected president of the Support Group for African-American Affairs and was a past member of the Community Hospice Foundation, Knox County YMCA board, Knox County Teen Court board and Knox County Drug Court board. Sibley began his working career as an assembler at the Gale Products Division of Outboard Marine Corporation before moving to a management position. He went on to take classes at Sandburg and had a 20-year career in law enforcement as an Illinois State Trooper. In 2013, he received the Thomas B. Herring Community Service Award from the Galesburg Area Chamber of Commerce for his decades of giving back to the area. Rev. Jon A. Sibley Sr.